The Weetabix Food Company, owners of one of Britain’s leading cereal brands, today welcomed the news that it is to be acquired by Post Holdings, Inc., a consumer packaged goods holding company. The deal values Weetabix at £1.4 billion. 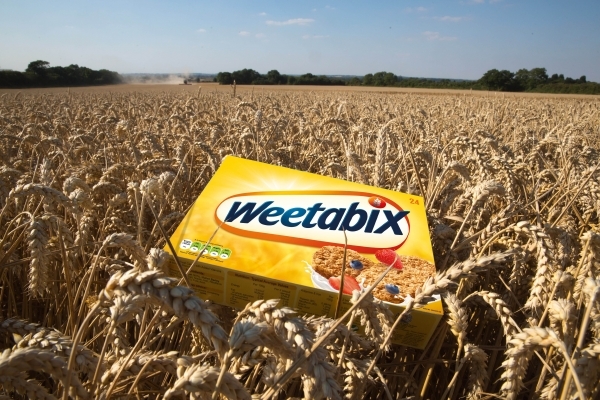 The acquisition comes on the back of the growth in Weetabix’s UK market share for cereals and drinks, rising from 15.3% to 16.4%, in the past year as consumers look for more nutritious, tasty and convenient breakfast choices. Post Holdings, Inc., headquartered in St. Louis, Missouri, USA, is a consumer packaged goods holding company with a broad product portfolio across food including ready-to-eat cereal, value-added egg products, protein shakes, bars and powders, peanut and other nut butters, and granola. Through its Post Consumer Brands business, Post Holdings is a leader in the North American ready-to-eat cereal category. The combination of Post and Weetabix will boost international growth opportunities on both sides. Alongside Weetabix, the UK’s most trusted and recommended cereal, the Weetabix Food Company also produces popular breakfast brands including Weetabix Minis, Alpen and Weetos. In 2014, it launched a breakfast drinks business, Weetabix On The Go. This has grown rapidly, with sales of more than £15m in 2016. As a standalone brand, it would now be in the top 20 breakfast brands in the UK, having grown 70% in 2016. Weetabix is headquartered in Burton Latimer, Northamptonshire. In the UK it has factories in Burton Latimer and Corby. It also has operations in North America, South Africa, Germany and Spain. Weetabix is majority owner of a joint venture in Kenya that serves the African market and Weetabix Food Company exports its brands to more than 90 countries around the world. In recent years, Weetabix has seen strong growth in China which is now its third-largest market after the UK/Ire and North America. Post Holdings has agreed in principle to establish a joint venture with previous owners the Bright Food Group and Barings Private Equity Asia to manage the Chinese operations.